This is the pullover from the Options KAL with Rowan's Pure Wool Superwash DK. 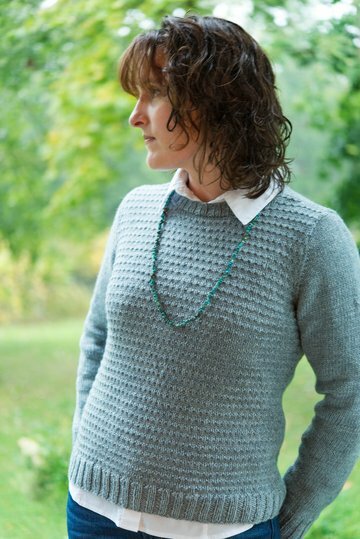 This CustomFit pattern will give you a basic, Stockinette sweater with the shape shown. What kind of fabric you make the pieces out of is totally up to you - although the sweater here is shown with texture, please see the Options KAL page for your choice of fabric patterning - plain (as written here), Striped, or Texture. Rowan Pure Wool Superwash DK.